As one of the most scenic areas in Colorado, the Maroon Bells Wilderness Area near Aspen offers miles of hiking and exploration, as well as the opportunity to climb the Class 4 Maroon Bells, two of Colorado’s more difficult 14,000’ peaks. 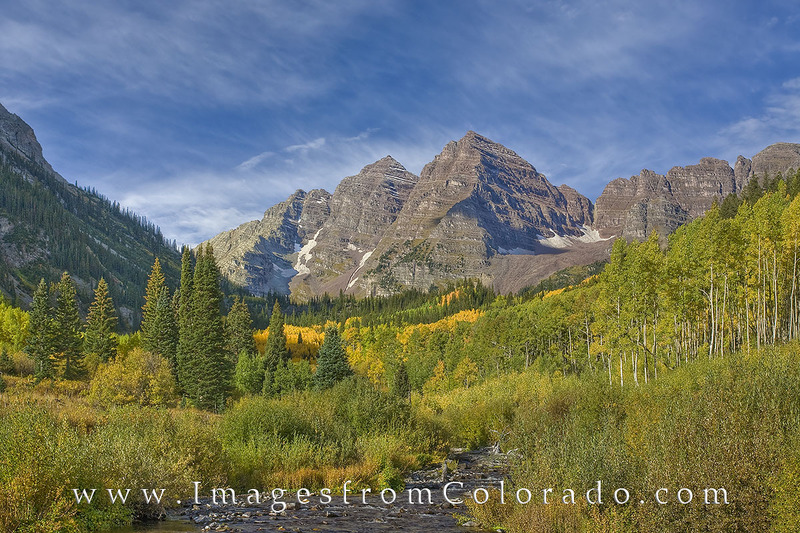 This view of the valley comes from Maroon Creek on a beautiful Autumn September morning as high clouds drifted overhead. Photo © copyright by Rob Greebon.